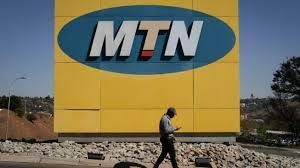 Nigeria demands $2bn ‘tax arrears’ from under-pressure MTN – Royal Times of Nigeria. The federal government has written to MTN Nigeria demanding a payment of two billion dollars in tax arrears. The attorney-general of the federation, Abubakar Malami said his office made a “high-level calculation” that MTN should have paid approximately $2 billion in taxes relating to the importation of foreign equipment and payments to foreign suppliers since 2008. He requested MTN to do a self-assessment of the taxes. This is coming barely a week after the Central Bank of Nigeria slapped the company with an eight billion dollars fine for alleged illegal repatriation of funds. In its reaction to the AGF’s request, a statement released today and signed by MTN Nigeria’s public relations manager, Funsho Aina, said it is “regrettable and disconcerting” that the case has been reopened despite multiple tax assessments carried out over the years. The company said it did an initial assessment showing that total payments already made to the tax authorities in regard to these foreign imports and transfers are seven hundred million dollars.